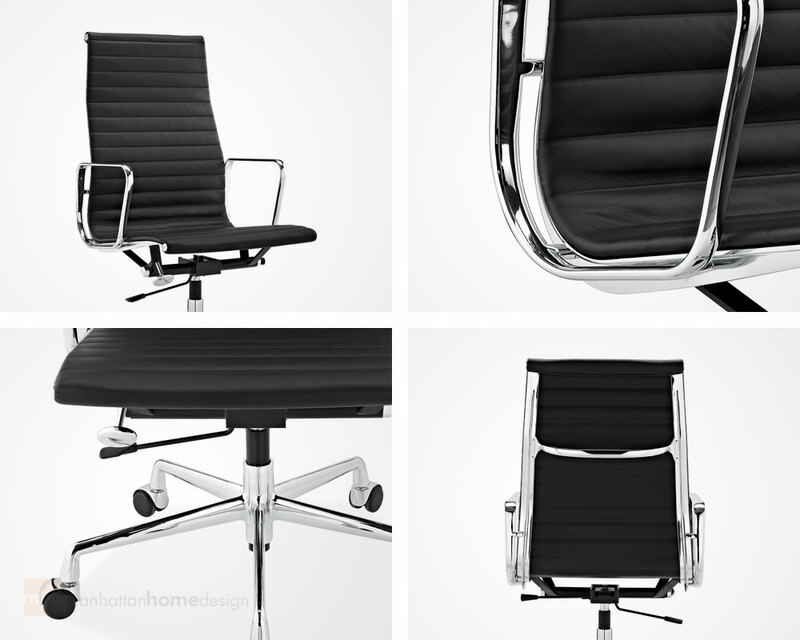 The Eames Executive Chair Replica is Manhattan Home Design’s premium Eames office chair replica. 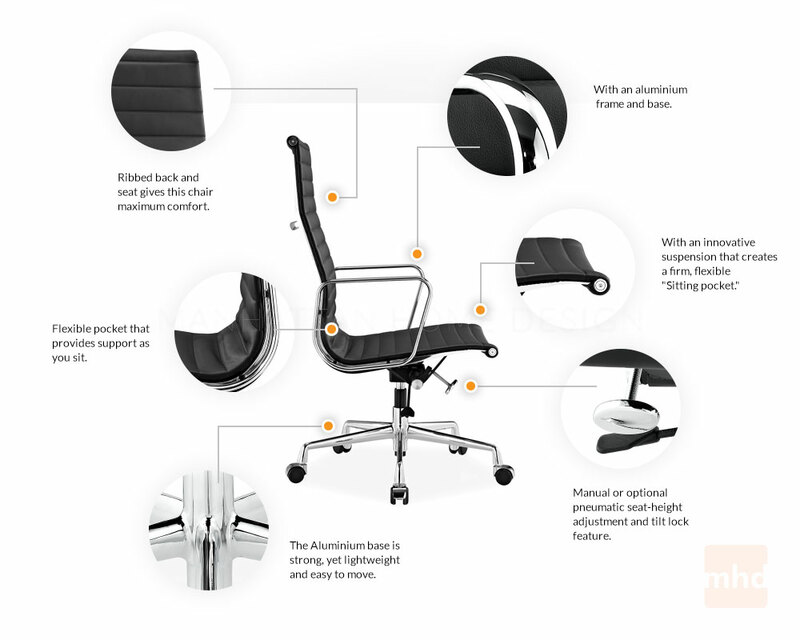 Great for all offices, including home offices, this Executive style chair suits the most professional of workspaces, with its black leather, ribbed design and high back. You’ll see many variations of this executive style chair as it is part of the Eames trailblazing designs in office chairs. Don’t settle for a cheap rendition of this Eames office chair replica, when you can get this superb piece. This Eames Executive chair was originally designed in 1958 and has become a staple as a mid-century modern classic. Set on a five-point base, the Eames Executive Chair reproduction sits on tubular steel columns and swivel for easy turning and movement. This high quality reproduction is manufactured to almost the exact same specification as the original. Excellent office chair. You get so much for what you are paying. I would expect this to be a lot more expensive than it is. The leather is high grade and the cushions are very thick. The wheels turn nicely also. I am very happy with this chair. This has a very good seat that is very comfortable. The leather is soft and the cushions thick. I wish it was a little less expensive. A very good chair that is put together with good quality materials. The seat is very comfortable and shipping was fast. I am impressed. This has nice leather and is very comfortable with a very thick seat cushion. The price was okay and the shipping was a little long.